Note: Click here to download John’s top “profitable hobby” tips. These were not overnight sensations, but they build on one another and grow over time. Each “hobby” gives an opportunity to try something new, learn new skills, and develop another income stream. I was fortunate to be able to grab lunch with John when I was in Charlotte for FinCon, and it was cool to connect in real life. He’s a husband and a father as well, so we get into how he balances all these different hustles! Click here to download John’s top “for-profit” hobby tips. Audible – Get 2 free audiobooks and start your free 30-day trial! How John became a part-time professor and how you can find similar opportunities locally or online. How John built his mini app empire and how it runs almost completely passively. How John bartered his way into free car repairs and free landscaping services. How he turned those interactions into recurring revenue streams. How he sets these hobby businesses up to maximize his time. John’s #1 tip for Side Hustle Nation. Turning your hobby into something that pays the bills is pretty much the dream of not just every entrepreneur, but probably every person alive. Unfortunately for most, watching Netflix doesn’t provide much value for other people, but when your hobby happens to be making smartphone apps/writing ebooks, you’re in luck. Then it’s just about figuring out how to make apps/ebooks that people actually want to buy! And in markets as saturated as those ones, that’s not a small task by any means. You could make softball and skiing a business…. You could be a sports league/ tournament organizer. With skiing, you could plan ski trips and make it a big social event. You could even incorporate these together in the “Social Sports” industry. Finally! Someone who works like I do — multiple ideas and projects — to make a fulfilling life. Everyone on Side Hustle Nation has inspired me in some way, but to have a guest that makes me feel like I am okay even though I’m not a “one thing” kind of creator is very affirming. Thank you, Nick, and John. You bet! I loved hearing about all of John’s hustles. 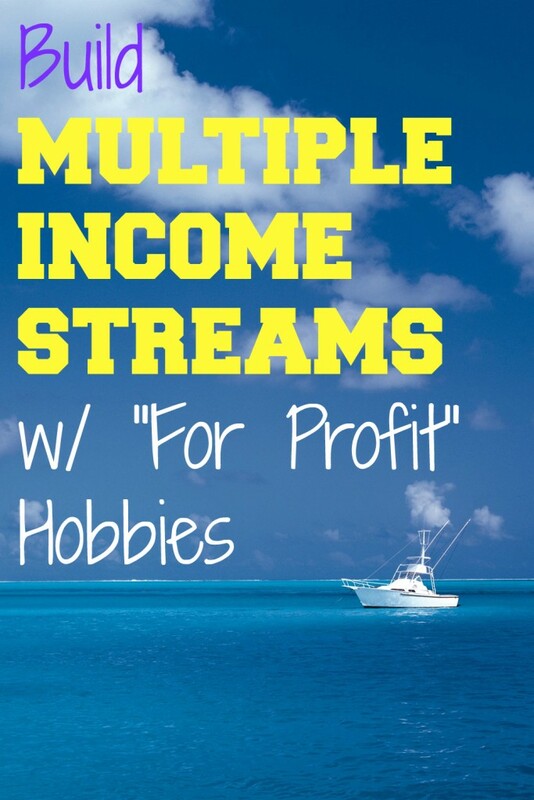 Creating a multiple streams of income is the way to go and it’s the dream of every entrepreneur. Having, turning a hobby into profit is usually not an easy task especially if you have a boring hobby. But if you a good hobby that also has some audience then, it might become much easier for you to turn it into a good business. The only hobby I have is looking for ways to pay off my debt faster. I love reading and I love playing computer games. Any clues on what kind of side jobs I could find? Absolutely fantastic! Great find Nick!